When interviewing potential hires, asking questions and listening to answers is an art that needs to be continually improved. If you treat interviewing as a science rather than an art, you may not be listening well. Even worse, you may not hire well. There are at least five tensions I pay attention to as I interview potential candidates. Being aware of these tensions may help you be a better listener, interviewer, and hirer. We want candidates who want the job. However, we don’t want candidates who are desperate for this job – or any job for that matter. Ask the candidate questions like: Why do you want this particular job? What types of roles are of interest to you (inside or outside our organization)? After the interview, ask yourself: Does this person seem to want the job or do they seem desperate for this job? If they seem a bit desperate, why are they desperate? Their desperation may be because they are unemployed and need the income. However, the highest potential candidates tend to have options and come across as interested, but not desperate. "The highest potential candidates tend to have options and come across as interested, but not desperate." 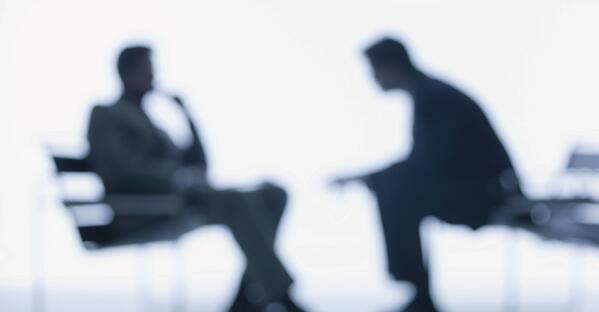 The purpose of the interview is to learn about the candidate. If the candidate talks too much about themselves, they are directing the interview and likely lack self-awareness. If they ask so many questions about the organization and job you don’t have time to get to know them, that is a problem too. However, if you finish an interview and they never asked questions about the organization or the job, that should raise flags you may be interviewing someone who is desperate for a job, or even desperate for that particular job. Ask the candidate questions like: Is there anything else I haven’t asked you that I should be asking you? Is there anything you wanted me to know but haven’t had a chance to tell me? Are there questions you have for me? After the interview, ask yourself: Did they ask questions about the organization and the role while letting me guide the interview? If they dominate the meeting, it shows a lack of self-awareness. If they never ask questions, that may be showing desperation or cockiness. This is one of the most essential tensions to listen for. Most of us have been in a difficult employment situation. As we interview, we want to know where they’ve been and why they’ve left. As an interviewee describes why they chose to leave their previous place(s) of employment, many times we will hear difficulties they endured in the job: an over-demanding boss, an unsafe work environment, impossible expectations, etc. We all suffer. None of us have a perfect work environment. However, conflict is rarely one-sided (but sometimes it is). There is almost always something an employee can do to improve their situation (though, not always). Ask the candidate questions like: Do you think you contributed to the problem in any way? What would he/she say to me if I asked them about this situation? When you look back, what should you have done differently? After the interview, ask yourself: Were they always the victim in multiple situations or was it one workplace? Were they able to acknowledge how they could have reacted or behaved differently? Do they come across as a sufferer who is learning, growing, and moving on or as a victim who is always pointing fingers? What does your gut say? Are they a victim or might they be central to the problem? The problem with chronic victims is they take themselves wherever they go. And, they will likely become a “victim” at your organization as well. "Conflict is rarely one-sided. There is almost always something an employee can do to improve their situation." Successful candidates almost always have self-confidence. They have the ability to non-verbally communicate an air of confidence and ability. It seems they have an “it” factor that isn’t easy to quantify. They know their abilities and aren’t intimidated by others with similar skills. A positive self-confidence and a debilitating pride can look and sound similar in a one or two hour interview. However, in weeks and months of working together, they don’t look similar at all. So, figuring this out during the interview process is crucial or your co-workers will eventually be wondering why in the world you hired them. Ask the candidate questions like: How might you need to grow to do this job well? What would your previous co-workers say are areas of needed improvement in your leadership or communication? After the interview, ask yourself: When did I sense humility in this candidate? Were they able to identify areas of growth they needed to pursue? When they told stories, were they always the hero? Do I feel they came across with appropriate self-confidence or with cockiness? As you interview a candidate, you need to know what their responsibilities have been, but you also must learn their accomplishments. Resumes often list their responsibilities. When you interview, be sure to draw out their accomplishments. Anyone can be given a list of responsibilities. Great employees actually accomplish significant things. With this tension, you may need to be direct. Ask the candidate questions like: I am reading (or hearing) about your responsibilities, but can you tell me more about what you have accomplished? We are looking for someone who will do this job well, not just someone who can do this job. So what evidence is there that you have done your jobs well? What have you accomplished? After the interview, ask yourself: Did I simply receive a list of their job descriptions or did I hear how they succeeded? What impressed me about what they accomplished? "Great employees actually accomplish significant things." It is easy to be an interviewer who asks questions, stays quiet, and take notes while a candidate talks. A skilled interviewer will listen carefully for tensions. Spotting the difference between these tensions will improve your skills in interviewing and improve your success in hiring. Listen for those tensions. Ask questions of the candidate and, after the interview, of yourself. What tensions do you listen for in an interview?